From 22 January to 28 February 2019, successfully register and spend a min. of S$188 in a single eligible transaction on your registered credit card to play. 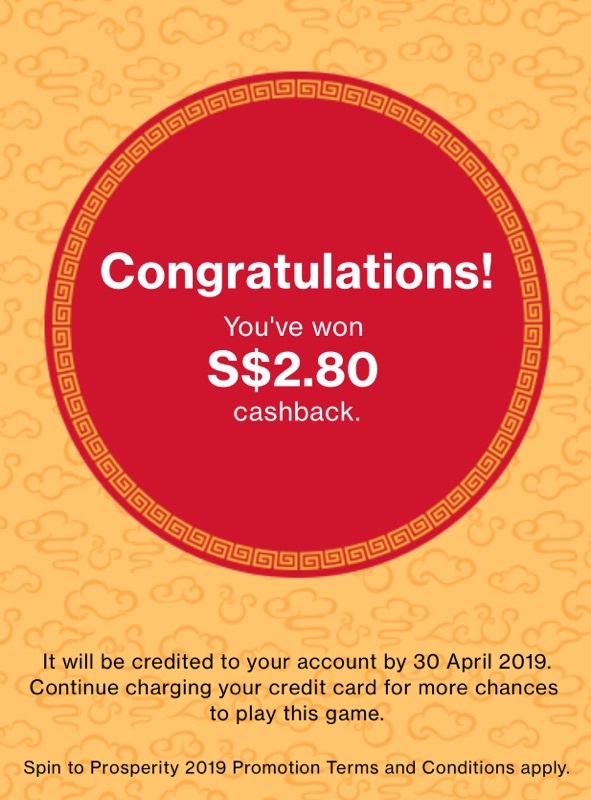 for the spin, T&C didn't say the min winning price is $2, $3 or $5? Is it 2 day or 2 working date? Register on Saturday mean can use on Which day? It is two calendar days. Pls read the T&C in the weblink. Today if it started... but I wonder will there be a sms sayingi successful been tracked? And is it 00.00.01hrs start? SCB promotion started after 12am, I made 5 transactions and got the sms. How to redeem the Limited Edition SC-Disney Stainless Steel Bottle?